Posted on July 12, 2014 by alittleart Tagged A6000Sony	CommentsNo Comments on Not impressive, unless . . .
Not impressive, unless . . . 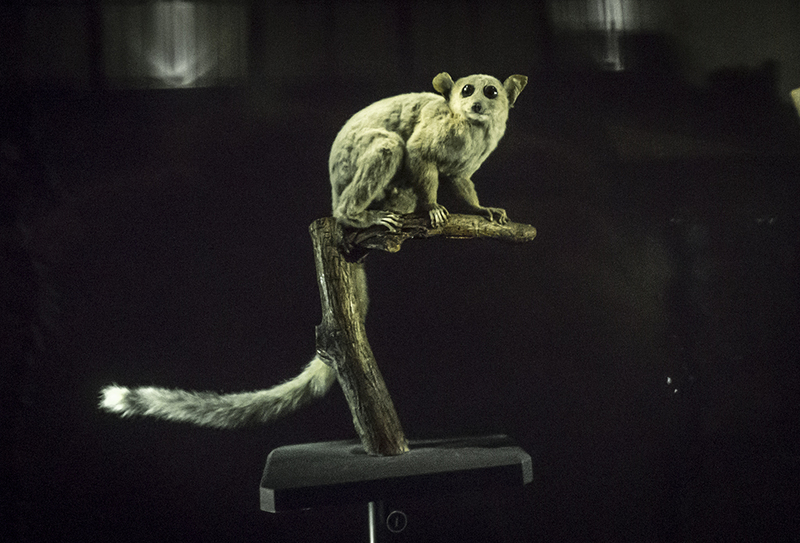 Okay, this is a pretty blah photo of a tatty old taxidermied lemur – unless you know the specs behind it. The little creature was behind glass in a very dimly lit museum. The lens I had only goes to f 3.5, so I used an ISO setting of 10,000 and handheld 1/13 shutter – handheld! So, yeah, the new Sony A6000 is looking promising as a holiday camera. My favourite way to idle away hours in foreign is to wander around dusty old museums and inspect mysterious objects in cryptically labelled jars. Expect photographs that prove this predilection shortly . . . This entry was posted in photography and tagged A6000, Sony. Bookmark the permalink.